Rev. 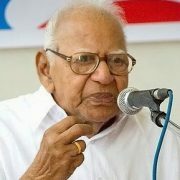 Dr. K. C. Abraham served well in many institutions. 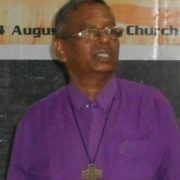 He served as Presbyter of St. Mark’s Cathedral (Bangalore), and later as Director of Ecumenical Christian Centre (ECC) before making his mark as a Theological Educator. He joined United Theological College Bangalore as Professor. 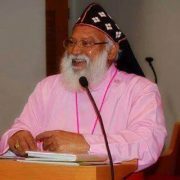 Around this time he also served as Director of South Asia Theological Research Institute (SATHRI), Secretary of Board of Theological Education of Senate of Serampore College (BTESSC), and as President of Ecumenical Association of Third World Theologians (EATWOT). 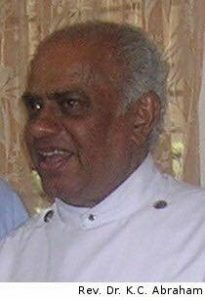 Among his many ministry contributions, he also served at various times as: Visiting Professor, Emmanuel College of Toronto School of Theology, Toronto; Visiting Professor, San Francisco Theological Seminary, D.Min. Program; John A Mackay Chair in World Christianity, Princeton Theological Seminary; Editor, Asia Journal of Theology; Editor, Voices from the Third World; Editor, Bangalore Theological Forum; President, Christian Peace Conference, India Region; Member, Board of Directors of YMCA, Bangalore; Member, Congress of Asian Theologians; and Member, Interfaith Interaction – online discussion group. In 1996, he and his wife Molly Abraham started Liza’s Home, a home for girls with mental and physical disabilities, that continues to serve a number of poor children. As editor and author of several publications he contributed to theological scholarship immensely. 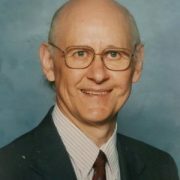 Among his publications are – Liberative Solidarity: Contemporary perspectives on mission; Globalization: A Gospel and Culture Perspective (article in International Review of Mission); Third World Theologies: Commonalities and Divergences (editor); Closed Doors and the Risen Christ: Sermons and Reflections On Being A Christian; The Cost of Discipleship; Spirituality of the Third World: A Cry for Life: Papers and Reflections from the Third General Assembly of the Ecumenical Association of Third World Theologians (editor); and many others. We are grateful to God for his life, ministry, leadership and many contributions to the Churches and Institutions he served. He will be missed. 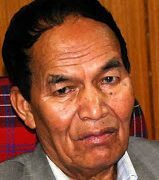 He leaves behind his wife Dr. Molly Abraham and two children, Ajit and Lizy. Please pray for God’s peace and comfort as the bereaved family mourns this great loss. The funeral will be on June 14, 2016 with service in St. Mark’s Cathedral, Bangalore at around 10:30 a.m.